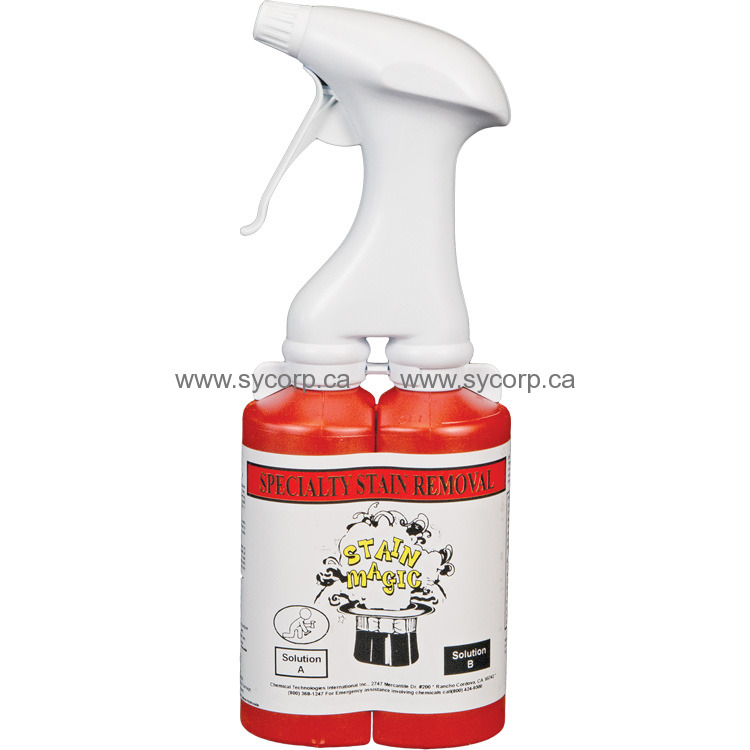 STAIN MAGIC Dual-Chamber Sprayer No More Mixing! These sprayers are metered to automatically mix equal parts of solution A with solution B. Fill each bottle with the designated product and they are ready to use.